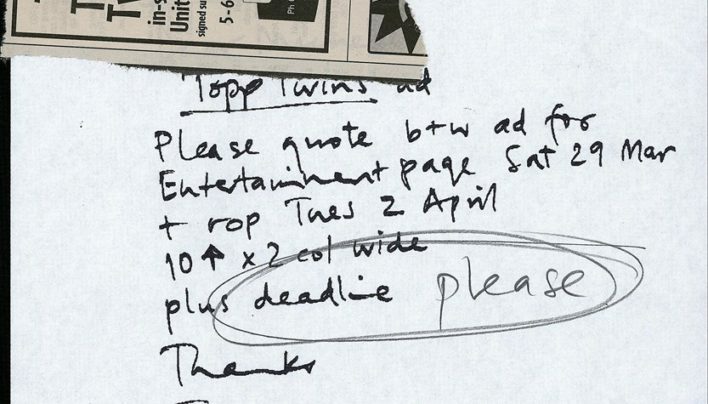 Making arrangements to advertise an event with The Topp Twins in April – and the final advertisement itself. 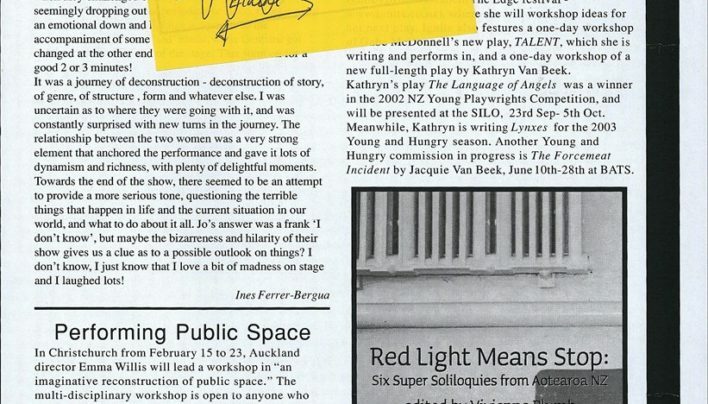 A pre-publication advertisement for Red Means Stop: Six Super Soliloquies from Aotearoa NZ edited by Vivienne Plumb (Women’s Play Press). 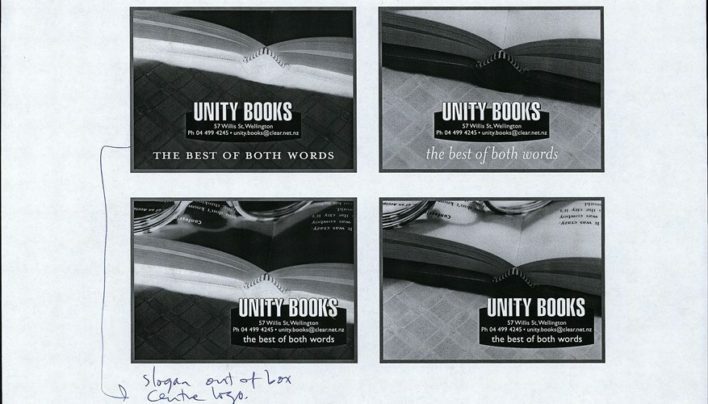 A photograph by Bruce Foster of the first few book-length essays published by Four Winds Press forms the basis for this advertisement. 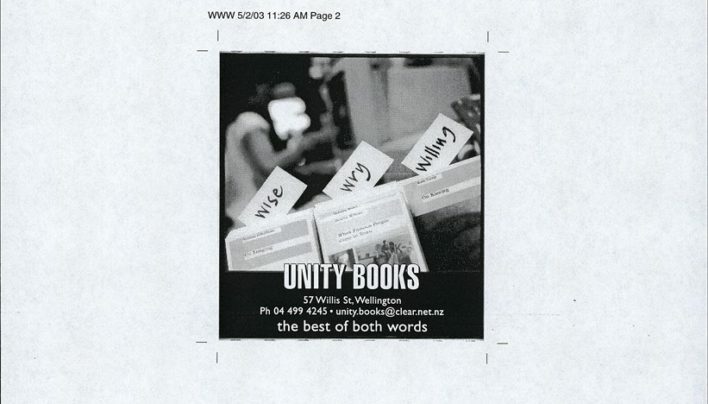 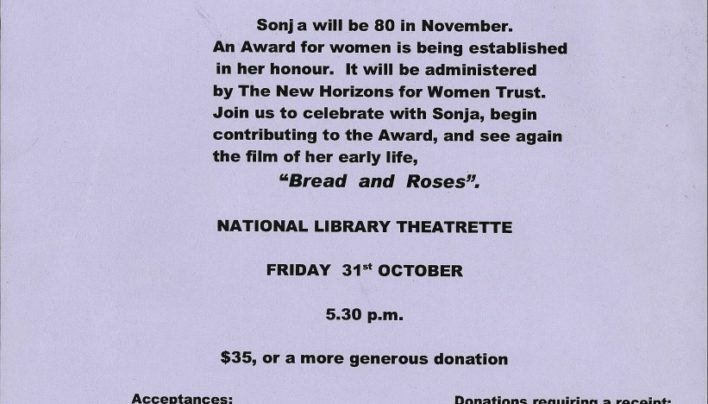 Ideas for our advertisement in the 2003 NZ International Film Festival Programme. 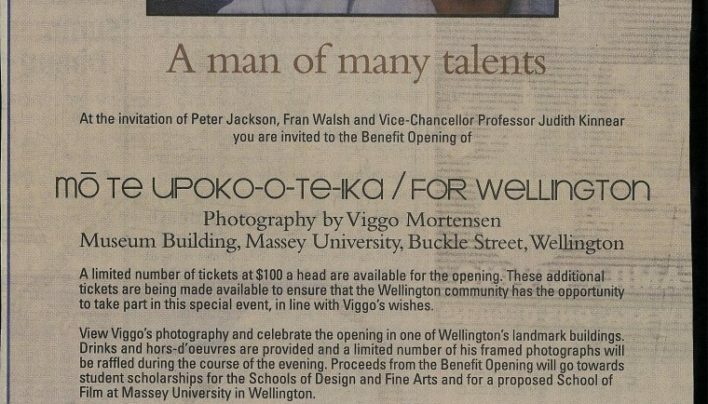 A public invitation to the private opening of Viggo Mortensen’s photographic exhibition at Massey University in Wellington. 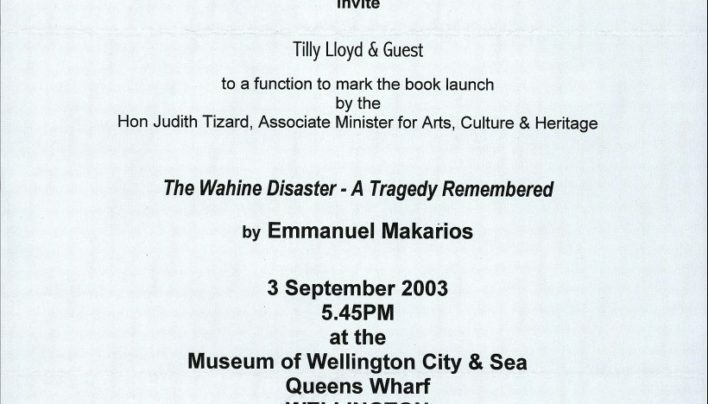 An invitation to the launch of The Wahine Disaster – A Tragedy Remembered by Emmanuel Makarios (Grantham House Publishing). 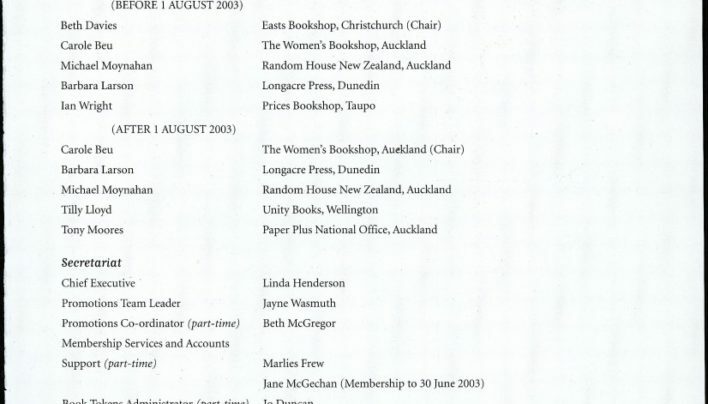 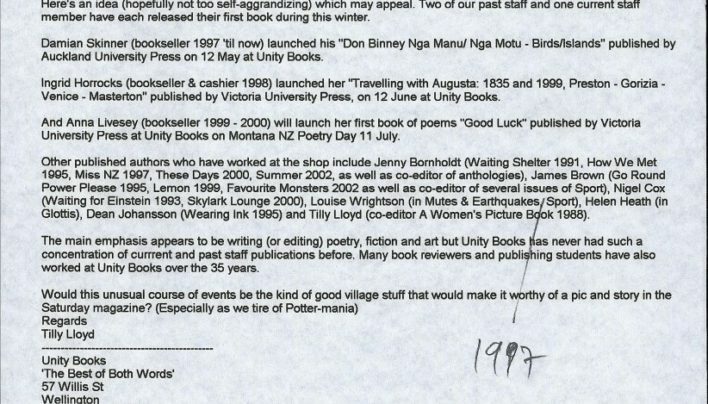 Tilly Lloyd joined the Board of Directors of Book Tokens (NZ) Ltd in August 2003. 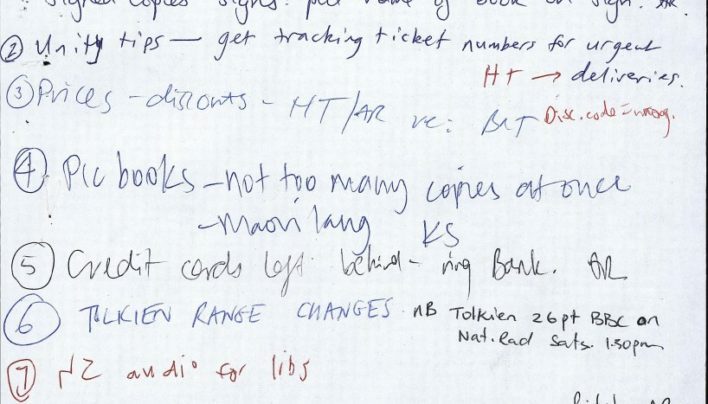 The staff meeting agenda features some usual suspects, and a little passive-aggressive bitching.